Dickens is a sweet 8" high, free standing squirrel. He stands solidly due to a wire armature in his legs. 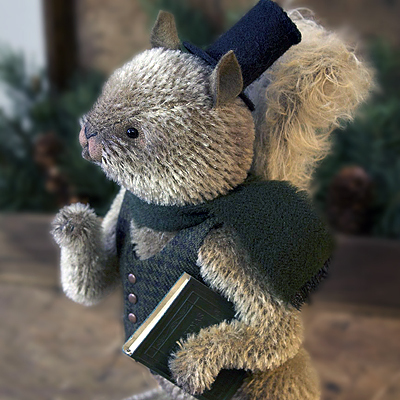 He is created from taupe German mohair with glass eyes and wool felt ears He wears a woolen vest , muffler and top hat. Each piece is individually created.